Tromp, cycle or dance from stage to stage at one of the most anticipated folkin’ events of the summer, the Winnipeg Folk Festival. Head to Birds Hill Provincial Park to hit one of 10 stages for notable acts such as Edward Sharpe and the Magnetic Zeroes, Royal Canoe and Bahamas. In between shows, you can shop in the Hand-Made Village, kick back on your campsite or try sustainable-sourced food from the festival vendors. The Reebok Spartan Race takes obstacles courses to a whole new level, and now, athletes in Manitoba have the chance to compete in this high energy spring. Chase the finish line for three miles through mud, fire, walls and barbed wire and declare yourself a Spartan. Follow In Riel’s Footsteps as colourful characters guide you through the St. Boniface cemetery and cathedral for a summer evening of lively theatre and Métis culture. Built in 1818, the iconic St. Boniface Cathedral-Basilica is not only an architectural and historical must-see, but also the perfect backdrop to learn about the perseverance and legend of Louis Riel. Being active is a piece of cake at Adrenaline Adventures. Adrenaline junkies can try cable wakeboarding, climbing or ziplining while those who prefer to have two feet firmly planted on the ground can join a game of paintball or volleyball. Either way, you’ll be having a good nights rest after a day at this adventure park! You can find all the usual suspects at this year’s Carman Country Fair. Be entertained (or scared) by the clown, scream your heart out on a rollercoaster and eat to your heart’s content at one of the many food vendors. Put your farm skills to the test at the Farmers Challenge and celebrate your win at the beer gardens before the day is through. Gimli is the place to go for all things Icelandic in Manitoba, and the New Iceland Heritage Museum is the central hub for the area’s history. Step out on a walking tour to key locations and icons along Gimli’s waterfront or browse artifacts, including a stunning collection of Icelandic stones and minerals. I guess you could say New Iceland rocks. Gear up for a family friendly day of fishing activities at the Winnipeg Fish Festival. Learn everything from the initial cast to how to prepare a shore lunch and get hooked on fishing. Filleting demonstrations, a casting lane, learn to fish clinics, fish displays, arts and crafts and critter dipping are just a few of the angling activities set for the festival! 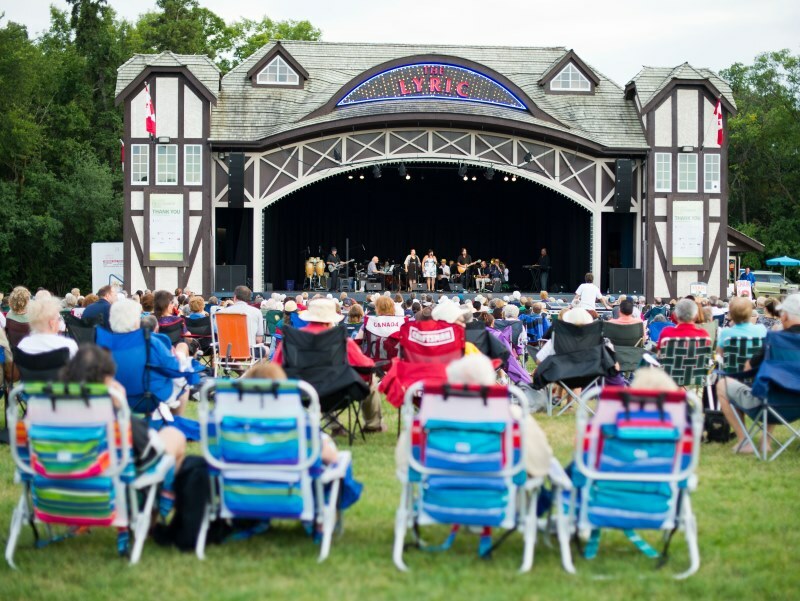 Take a breath of fresh air at Canada’s largest and longest running outdoor theatre. Sit back and be entranced by the soaring melodies of the unforgettable Les Misérables. The lives of Jean Valjean, Fantine, Cosette and Marius will draw you into a tale of universal struggle and the redemptive power of love. The summer months will once again be all about Winnipeg Blue Bombers football as the team continues its CFL season at Investors Group Field! This Friday, the Blue Bombers will be taking on the Montreal Alouettes. Let’s not talk about the last game. It’s all about living in the now! The regular season runs from June to November, where hopefully *fingers crossed* we’ll be cheering on the Bombers at home in the Grey Cup! The 12th annual Meteor Fest kicks off this weekend, where you can gaze across the lake in wonder as you give kudos to the mass that created it. The action-packed event includes beach BBQ, a street hockey tournament, live entertainment, horseshoe and yoga. We just like the idea of celebrating a rock. Let the wonders of nature be a backdrop for reflection on the power of the human spirit at Whiteshell Provincial Park. Begin your Whiteshell journey at the Bannock Point Petroforms near Nutimik Lake before embarking on the eight kilometre trail at Rainbow Falls. Bring your tent for a night under the stars, or choose one of the park’s many comfy resorts.